The Portuguese national broadcaster revealed the members of the jury of Festival da Canção 2019, the national selection format through which Portugal will select its Eurovision act. 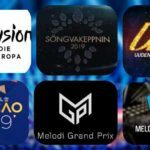 The jury for Portugal’s national selection will consist of 7 members which will contribute to the final results by 50%. The other 50% will be determined by the public. In the final, the jury votes will be combined with the votes from 7 different Portuguese regions. The first semi-final is set to take place on February 16 at RTP’s studios in Lisbon, while the second one is to be held next week. The Grand final of Festival da Canção 2019 will is scheduled for March 2 in Portimão Arena. Sónia Araújo and Tânia Ribas de Oliveira will host the 1st semi final, Jorge Gabriel and José Carlos Malato present us the 2nd smei final , while Filomena Cautela and Vasco Palmeirim will host the Grand final. Notable that Filomena Cautela was one of the Eurovision 2018 hostesses and has several times in the past presented Festival da Cançao. Apart for the three duo Inês Lopes Gonçalves will be the host during all shows in the Green Room. Portugal joined the Eurovision family in 1964 when it was represented by António Calvário, who finished last without any points. Since their debut in 1964 Portugal has missed five times the contest, the latest being in 2016. Before 2016, the best result of Portugal in the contest was a 6th placing in 1996 with Lúcia Moniz performing “O meu coração não tem cor” in Oslo. In 2017 the country got out of the list of the remaining countries without victory, as Salvador Sorbal was crowned winner in Kyiv with his song Amar Pelos Dois . Following Salvador’s win the country hosted the 63rd edition of the contest in Lisbon. In the last Eurovision winners of Festival da Canção 2018, Cláudia and Isaura , represented Portugal with the song “O Jardim”. They finished last in the Grand Final with a total of 39 points.